Correction: An earlier version of this story incorrectly stated that the District has just over 6,000 registered electric vehicles. The correct number is 600. This version has been updated. Pepco wants to offer a lower rate to D.C. residents who own electric vehicles to see if it can help ease potential strains on the power grid by getting them to charge up during off-peak times.The District has just over 600 registered electric vehicles, but Pepco officials say they are expecting that number to soar as the vehicles become less expensive and can travel farther between charges. Two electric vehicles charging simultaneously on the same street taxes the neighborhood transformer about the same as an entire household, utility officials say. Pepco officials say that the utility can handle the increasing demand for electricity from the growth in electric cars but that it must be more spread out. Transformers in residential areas will last longer and cost less to upgrade or replace, they say, if more motorists wait to charge their batteries until after their neighbors returning home from work have cooled or heated their homes, cooked dinner and finished any laundry. The utility is asking the D.C. Public Service Commission to approve a study of how much vehicle owners would be willing to forgo charging their cars immediately after getting home from work if they could pay less to do so. Under the proposal, the owners would pay a lower rate for plugging in between 8 p.m. and noon. As the federal government, along with states and localities across the country, have granted tax breaks and other incentives to encourage consumers to buy environmentally friendly electric and hybrid vehicles, utilities have pondered how to provide additional power and prevent their systems from becoming overwhelmed. Stewart said Pepco is particularly concerned about the potential for “clustering,” when multiple electric vehicles charging in proximity can strain a neighborhood transformer designed to serve five to 10 homes..
Last year, the Maryland Public Service Commission approved Pepco’s request to allow owners of electric vehicles to pay higher or lower rates for all of their household use based on whether they used the electricity during peak period or off-peak hours. Stewart said Pepco sought that special rate after a similar two-year pilot in Maryland found that electric-vehicle owners generally took advantage of off-peak rates. Will Beckett, membership chairman for the Electric Auto Association, a California-based advocacy group, said he has paid lower electric rates for charging his car between midnight and 6 a.m. since 2005. Beckett, who lives in Aptos, near Santa Cruz, said his Chevrolet Bolt is one of six hybrid or electric vehicles on his two-block street. If they all charged their cars during peak periods, he said, there could be trouble. “You’re not just plugging in, but you’re using a lot of power when you plug in — more than an air conditioner, more than an electric clothes dryer,” Beckett said. Many people probably charge their cars immediately after getting home from work out of habit, he said. He said most would gladly set the car to charge at a later time if it meant saving even more money than they already save on gas. Although costs vary greatly based on local electricity rates and gas prices, Beckett said, charging an electric car typically costs about a third of what an owner would pay to fill the gas tank. Under Pepco’s proposed study, D.C. residents who own electric vehicles could sign up for different options. Some could agree to pay 5 cents per kilowatt-hour to charge their cars off-peak between 8 p.m. and noon, and 13 cents per kilowatt-hour for charging between noon and 8 p.m. The rest of their household electricity use would be billed at their usual rate. In some cases, Pepco also would share the costs of buying or installing charging stations or the vehicle charging equipment for residents or condominium and apartment building owners. Stewart said that the study is expected to cost $1.7 million over two years and that applications for participation would be accepted a month after the public service commission approves it. The commission has not set a date for considering the proposal, he said. New analysis from the US Department of Energy (DOE) suggests that the Obama Administration was the pinoeer of utility-scale PV projects in the US, and coincides with a new renewable energy target for civilian agencies to develop 1GW of clean electricity by 2021. The news also comes simultaneous to the White House announcing its biggest federal investment in clean energy to date via the 210MW Mesquite III solar facility that will provide power to 14 US Navy installations. 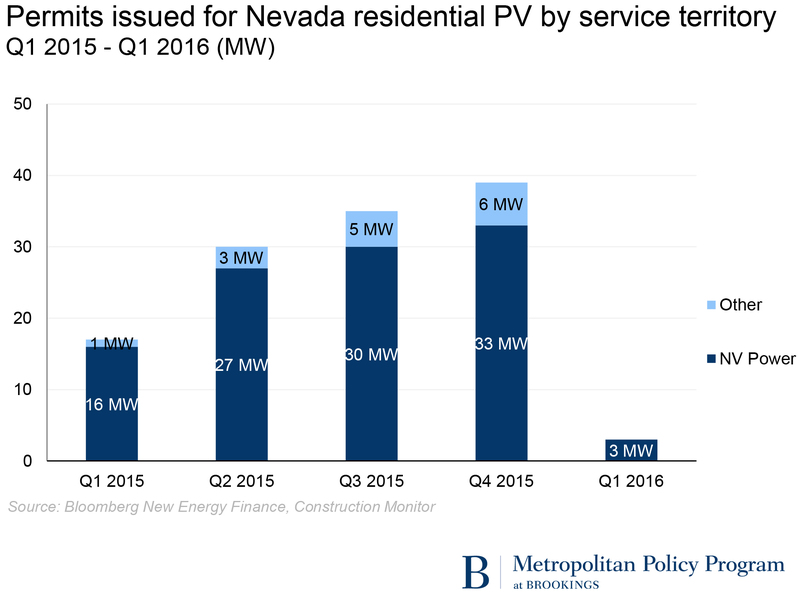 The DOE’s new update to a 2015 report postulates that early support for solar PV projects from the Administration was what sparked the massive expansion of utility-scale solar in the US. Indeed, the new analysis argues that the loans provided by the DOE to the first five utility-scale solar projects larger than 100MW helped demonstrate the technology as bankable and successful, and contingently led to private financing of utility-scale projects at a ten-fold increase. Undeniably, not one single utility-scale solar PV project larger than 20MW existed in the US before Obama took office. But beginning in 2009, DOE’s Loan Programmes Office provided more than US$4.6 billion in loan guarantees to support the construction of the first five large-scale utility projects. Currently, the DOE’s Loans Programme Office supports a portfolio of more than US$30 billion in loans, loan guarantees, and commitments, supporting more than 30 closed and committed projects. The new energy target for 1GW by 2021 will serve to promote the installation of renewable energy projects on federal land; after recent squabbles over the role of federal subsidies in renewables. In addition, the goal will spearhead the development of new solar through PPAs and procurement of bundled green energy to power federal facilities, according to a White House blog post. The new goal fortifies last year’s target of 30% renewables by 2025 for federal government. According to White House statistics, since 2010, federal agencies have increased the use of solar five-fold, with solar now accounting for 19% of renewables and 180MW of onsite power. The US has been fortunate in its federal involvement in the solar industry. The US Department of Energy’s SunShot Initiative has led many solar campaigns and provided funds to organisations innovating in the industry. Moreover, Obama’s recent initiative for solar targeted at low-moderate income households opened up potential to unlock ‘huge new markets’ essential for realising the nation’s energy goals, according to industry experts. Yesterday, Florida voters succeeded in defeating the controversial Amendment 1 that would have prohibited third-party ownership of residential solar PV systems. Despite US$26 million being spent by utilities and anti-solar advocacy group Consumers for Smart Solar, a diverse grassroots coalition of more than 200 organisations, solar companies, lobbyists and elected officials voted ‘No On 1’. “Today, as a coalition representing every part of Florida’s political spectrum, we defeated one of the most egregious and underhanded attempts at voter manipulation in this state’s history. With God’s blessing and the hard work of every member of Floridians for Solar Choice, we won against all odds and secured a victory for energy freedom. This is a win for the people and I could not be more honored to be a part of this historic victory as Chairman of Floridians for Solar Choice,” said Tory Perfetti, chairman of Floridians for Solar Choice and director of Conservatives for Energy Freedom. The Amendment was labelled as being one of the most fraudulent ballot measures in election history – due to the subversive campaign tactics of utilities who attempted to portray the amendment as pro-solar. As wider election voting leaves the US energy sector in a state of shock and uncertainty, the majority rejection of Amendment 1 is a relief; especially as the Supreme Court thwarted efforts of solar interests who attempted to get the ballot reviewed in the interest of legal certainty. “Beneath the historic news of the election of the 45th president of the United States lies a decision by the people of Florida that is worthy of recognition on a national scale: the defeat of Amendment 1,” said Tom Kimbis, interim president of the Solar Energy Industries Association (SEIA). “By voting to stop an amendment funded by the state’s wealthy utilities, Floridians made clear that they care about their rights – their property rights, their right to competitive markets and their right to go solar. “On course to be the top source of new power in the US this year, solar provides reliable, affordable and clean electricity to Floridians and all Americans. The resounding rejection of Amendment 1 should send a message across not just Florida but all states not to curtail solar choice. “Congratulations to the people of Florida for rejecting Amendment 1 and protecting the state’s solar future. For too long Florida has been the sleeping giant of the solar industry. Today, the public took historic action to choose a future powered by solar energy, as Floridians from all walks of life wisely saw through the utilities’ US$26 million deceptive campaign. By voting No on Amendment 1, Floridians have affirmed individuals’ right to generate their own solar power, which is cleaner and will create local jobs that cannot be outsourced,” he said. The news means that Florida is one step closer to fulfilling its potential as the Sunshine State. In addition, Amendment 4 that approved a tax break for commercial solar is no longer in jeopardy of being rendered redundant. Importantly, the defeat of Amendment 1 also means that the Florida constitution remains free of an express provision in its constitution that solar users are being subsides by their non-solar counterparts for their grid use. While Amendment 1’s rejection is being hailed as a shining victory for Floridian solar, the reality is that now, Florida is simply in line with the regulatory regimes with most other states that already exempt third-party ownership from the utility code and permit third-party leasing. In a shock victory that took the world by surprise, Donald Trump was elected 45th president of the United States, leaving uncertainty to loom large over the US energy industry. Former president Barack Obama was an ardent supporter of solar and renewable energy generation, with the Department of Energy crediting his administration as being the driving force for utility-scale solar PV projects in the country. The extension of the investment tax credit (ITC), the Clean Power Plan and US support for the UN’s Paris agreement on climate change were all notable federal incentives spearheaded by Obama for US commitment to a clean energy future. Trump on the other hand, has repeatedly vowed to end all federal spending on clean energy research and development; including anything pertaining to climate change (which he does not believe in). As reaction from the energy industry as a whole remains limited, what is known is that Trump and his advisers regard the Clean Power Plan as “arbitrary and capricious” and the definition of “bait and switch” according to his energy adviser Kevin Cramer. Trump has vowed to “destroy” the EPA, “dismantle” the Paris agreement. With solar being hailed as costly and unreliable, and wind “killing our birds” and coal the future of American energy consumption, the fate of a thriving clean energy sector is uncertain. But before any drastic changes can be made to current federal arrangements, an approval from Congress is still required; making it unlikely that any big changes will be imminent. Bithenergy offers intelligent strategies and full implementation services for development of renewable energy systems, managing energy consumption, and smart grid infrastructure build-out. A certified Minority Business Enterprise (MBE) and Disadvantaged Business Enterprise (DBE), Bithenergy solves complex energy challenges with innovation and bold vision. Developing innovative renewable energy systems for municipal, commercial & residential clients. Measure & manage your energy consumption with a user-friendly dashboard. Get informed consultation for sustainability plans. Researching and exploring new energy system concepts to reduce emissions,increase efficiency, and better communities. Florida Center for Investigative ReportingThe National Black Chamber of Commerce, a leading critic of efforts to expand solar energy production in Florida and nationwide, is funded primarily by fossil fuel energy companies, including Koch Industries and ExxonMobil, according to an analysis by the Florida Center for Investigative Reporting. Founded in 1993 by Harry C. Alford and his wife Kay DeBow, the National Black Chamber of Commerce has been a staunch ally of utility and fossil fuel companies for nearly a quarter century. Alford has testified before the U.S. Congress at least 16 times. He alleges that clean energy initiatives are disproportionately harmful to black communities in the United States. For instance, in 1998, Alford testified that the ratification of the Kyoto Protocol, a commitment by 38 industrialized nations to reduce greenhouse gas emissions, would be harmful to minority-owned small businesses. The National Black Chamber of Commerce, a Washington, D.C.-based nonprofit, has been particularly active in Florida in recent months. Last weekend, the organization held its annual convention at the Diplomat Resort and Spa in Hollywood, Fla., where sponsors included Gulf Power, the Florida division of Atlanta-based energy giant Southern Company; Koch Industries and its subsidiary Georgia-Pacific; as well as Chevron and the American Chemistry Council. The same month, the chamber also submitted a brief to the Florida Supreme Court opposing a proposed constitutional amendment on Florida’s 2016 ballot that would give residents the right to choose solar energy and bypass the utility companies that have locked down the electricity business in the state. The brief alleges that the amendment’s ballot language is misleading and violates the state constitution. “It’s a front group paid for by industries looking to protect their interests, be it fossil fuel or big utility companies that have government-sponsored monopolies,” Susan Glickman, the Florida director of the Southern Alliance for Clean Energy, said of the National Black Chamber of Commerce. In an interview with FCIR, Alford insisted that he and his organization are proponents of solar energy production, but he criticized the proposed constitutional amendment for solar energy. Alford’s organization has contributed $50,000 to Consumers for Smart Solar, the political committee opposing the solar power amendment in Florida. “These negative impacts — potential increases in electric service rates and higher state and local taxes — are why we oppose the shady solar amendment,” Alford said. For more than two decades, Alford has made a living promoting the alleged dangers of clean energy policies on disadvantaged minority communities in the United States. His opposition to clean energy initiatives has help create a substantial revenue stream for the National Black Chamber of Commerce. Alford’s organization brings in about $1 million per year, according to IRS filings, with most of the money coming from large companies that oppose clean energy initiatives. It’s a lot of money given the organization’s small staff. The National Black Chamber of Commerce lists just two key employees on annual IRS filings — Alford and his wife. Ron Busby Sr., president and chief executive of the rival U.S. Black Chambers, said the National Black Chamber of Commerce is helping fossil fuel energy companies mislead African-Americans and other minorities about clean energy policies. 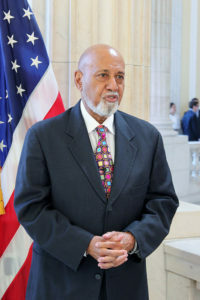 Just before the National Black Chamber of Commerce held its annual convention in Florida last weekend, U.S. Rep. Alcee Hastings, D-Fort Lauderdale, a member of the Congressional Black Caucus, issued a statement condemning the organization’s ties to Koch Industries and other energy companies. Alford scoffed at Hastings’ criticism. While Alford makes assurances that the National Black Chamber of Commerce isn’t serving as a front group for the energy industry, his organization’s funding isn’t transparent. The chamber doesn’t disclose its dues-paying members or donors. According to its most recently available IRS filing, $896,000 of the nonprofit’s $1.2 million in revenue in 2013 came from corporate contributions. Yet specific financial information is only available for one of those corporate donors — ExxonMobil. From 2002 to 2014, the oil company gave $1 million to the National Black Chamber of Commerce, according to ExxonMobil’s annual reports on charitable contributions. Representatives for the National Black Chamber of Commerce’s other corporate donors, including Georgia-Pacific and Gulf Power, did not return calls for comment from FCIR. The motivations and funding sources for the National Black Chamber of Commerce are now becoming clear, said Kert Davies, the director of the Climate Investigations Center, an organization in Alexandria, Va., that investigates front groups working to delay clean energy policies. Alford’s defense of the energy industry has become increasingly vociferous as the Obama administration and individual states have moved toward clean energy initiatives. 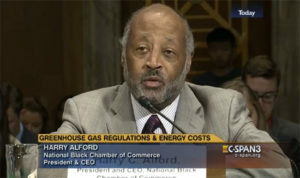 Two years ago, Alford wrote a column for The Hill in which he argued that a U.S. Environmental Protection Agency directive to improve ambient air quality standards would be harmful to African-Americans and black small-business owners in need of “dependable energy and predictable utility bills” because coal-fired power plants would be shut down due to the new regulations. 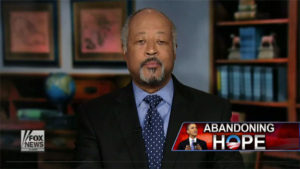 Harry C. Alford of the National Black Chamber of Commerce is a frequent commentator on Fox News. More recently, in March, Alford joined a procession of utility company representatives and fossil fuel promoters before the House Committee on Science, Space and Technology to advocate against the EPA’s proposed tightening of regulations on ground-level ozone. Alford’s outspoken opposition to clean energy has even drawn a public rebuke from President Barack Obama. The symbiotic relationship between the National Black Chamber of Commerce and its industrial benefactors was on display clearly during its annual conference in Florida. One of the panels addressed the need to help felons released from prison get their lives back on track. The moderator was Erin Kreeger, the public policy manager for Koch Industries, and the speakers included Vikrant Reddy, a senior fellow at the Charles Koch Institute. Alford said Koch Industries has been sponsoring the National Black Chamber of Commerce for three or four years by supporting a program that assists African-American and Hispanic incarcerated males re-enter society. MWMCA has been extremely busy over the years with offering its many services, while remaining on the frontline too, including, hosting events to bring recognition and work opportunities to the minority and women business community; providing compliance and workforce development services to ensure that minority and women-owned firms have the tools they need and are receiving the training and information to do an outstanding job; testifying on bills, including some that have successfully become laws, in Congress and in the Maryland General Assembly that affect small, minority- and women-owned firms; assisting with creating policy for public utilities and simultaneously serving as Exelon/BGE’s consultant to supplier diversity so minority and women-owned firms can be involved in more work with the region’s largest public utility companies that provide our gas and electric generation in addition to our transmission and distribution services; working with gaming facilities to ensure that minority and women-owned firms are providing goods and services to casinos for their ongoing operations; meeting with healthcare policymakers to ensure that M/WBE professional, maintenance, intellectual services, and information technology providers have a chance of winning more work with the approval of the Affordable Healthcare Act; encouraging joint ventures on projects to help smaller contracting firms gain opportunities in the vast amount of building projects that are being undertaken in the mid-Atlantic region from school construction to Fortune 500 companies building their headquarters within the region; monitoring major transportation projects so that minority and women-owned highway, tunnel, bridge, and rail contractors get opportunities to work on the Purple Line, Red Line, airport, seaport, and I-95 projects. At MWMCA we tailor our services to the client whether it is a small business or a prime company. Yes, we have a core group of services that we offer, but we listen to our client and identify what their needs are and prioritize them. This process ensures that we are accomplishing what is most important to the client. Why Is There No Manufacturing Base Infrastructure For Black America In Solar? Dwayne Baker President and CEO National Black Manufacturing Association is the leading advocate for being the voice of change for manufacturing in the state of Arizona. NBMA presence in Arizona is being recognized more and more everyday by industry leaders. It is our commitment to pair job seeking individuals with the right opportunities in manufacturing. NBMA had a growing network of professionals that sole desire is to bring manufacturing back to USA. DNKB Inc. is a minority SBA Small Disadvantaged Business (SDB), Veteran Owned (VO) offering a single source for end-to-end manufacturing cable assembly solutions. Our products and services are delivered with a proven track record of profitability, growth, and commitment to customer service excellence. This allows us to provide a full capability of innovative, robust, and secure assembly solutions for today’s complex Aerospace, Medical Device, and Commercial industries. quality improvement, and long-term financial strength. DNKB Inc.’s professional team, with over 50 years of experience, focuses on hassle-free compliance with AS9100 and ISO9001 Aerospace, Medical Device, and Commercial Industry requirements along with comprehensive solutions for products & sub-assemblies that require intensive manpower for final assembly. DNKB INC. serves commercial customers in a wide range of vertical markets. Many customers have their needs met with our cost effective contract cable assembly and packaging processes that free up space and time to delivery while others rely on time consuming expansive solutions. In addition, our services strongly appeal to military and intelligence agencies and are also in demand in select vertical markets with strong security and privacy requirements, such as the Medical Device and Aerospace sectors. Government contracting organizations benefit from our agile processing from design to delivery for all aspects of contract manufacturing cable assembly to kitting and packaging products. DNKB Inc. has grown by offering best-in-class solutions specifically created for the unique requirements and operational environments of these organizations. We are actively engaging for roles as both prime and subcontractor. Since 1909, the NAACP has addressed a vast array of civil rights issues including education, employment, housing, civic engagement, health, and criminal justice. Communities of color nationwide are, and have historically been, beset by human and civil rights violations, including disproportionate exposure to pollution, crime, substandard living conditions and more. African Americans who reside near energy production facilities including coal fired power plants, nuclear power plants, or biomass power plants, are more likely to suffer the negative health impacts of prolonged exposure to smog, lead, asbestos, mercury, arsenic, sulfur dioxide, nitrogen oxide and other toxins than any other group of Americans. 1234 Prolonged exposure, to toxins from these energy production facilities, is tied to birth defects, heart disease, asthma attacks, lung disease, learning difficulties, and even lower property values. Approximately 68% of African Americans live within 30 miles of a coal-fired power plant, which produces the largest proportion of energy compared to any other energy production type. The health conditions associated with exposure to toxins coming from these plants disproportionately affect African Americans. An African American child is three times as likely to be admitted to the hospital and twice more likely to die from an asthma attack than a white American child. Though African Americans are less likely to smoke, they are more likely to die of lung disease than white Americans are.5 A 2010 report by the National Research Council (NRC) calculates that particulate matter pollution from U.S. coal-fired power plants is solely responsible for causing approximately 1,530 excess deaths per year. In addition, properties in close proximity to toxic facilities average 15% lower property values.6 At the same time, many of the same polluting facilities that affect the daily health and well-being of host communities are major contributors to the greenhouse gases that are driving climate change. Carbon dioxide emissions are the leading cause of climate change and coal-fired power generation accounts for 32% of all emissions. Not only do low-income neighborhoods and communities of color suffer more of the direct health, educational, and economic consequences of these facilities, but also devastating natural disasters such as Hurricanes Katrina and Sandy, along with rising food prices and water shortages, harm low-income people and people of color disproportionately partly due to pre-existing vulnerabilities. While African Americans are enduring most of the harmful impacts of energy production, they are reaping few of the benefits from the energy sector. According to a 2010 study by the American Association of Blacks in Energy, while African Americans spent $41 billion on energy in 2009, they only held 1.1% of energy jobs and only gained .01% of the revenue from the energy sector profits. Therefore, there is both inequity in the incidence of disease and the economic burden for communities of color that host energy production facilities. African Americans should no longer abide the millstone of the noxious facilities and continue to be overlooked by the energy industry while living in blight. Given that the unemployment rate for African Americans has consistently been nearly twice that of the national average and the average wealth of white Americans is 20 times that of African Americans, it is past time to revolutionize the relationship communities of color have with this multi-billion dollar industry. Leading in a new energy economy serves as pathway out of poor health, poverty and joblessness while establishing a foundation of energy resources and security for generations to come. The NAACP will continue to build upon its legacy of advocating for equity, economic justice, and environmental justice within the energy sector, especially in the broader context of climate change. The following diagram outlines the NAACP’s policy precedence and the foundation for the recommendations we pose to enact change in the energy sector. Combines action on shutting down coal plants and other toxic facilities at the local level, as well as building of new toxic facilities, with advocacy to strengthen development, monitoring, and enforcement of regulations at federal, state, and local levels. Also includes a focus on corporate responsibility and accountability. Works at the state level on campaigns to pass renewable energy and energy efficiency standards while simultaneously working at the local level with small businesses, unions, and others on developing demonstration projects to ensure that communities of color are accessing revenue generation opportunities in the new energy economy, while providing safer, more sustainable mechanisms for managing energy needs for our communities and beyond. 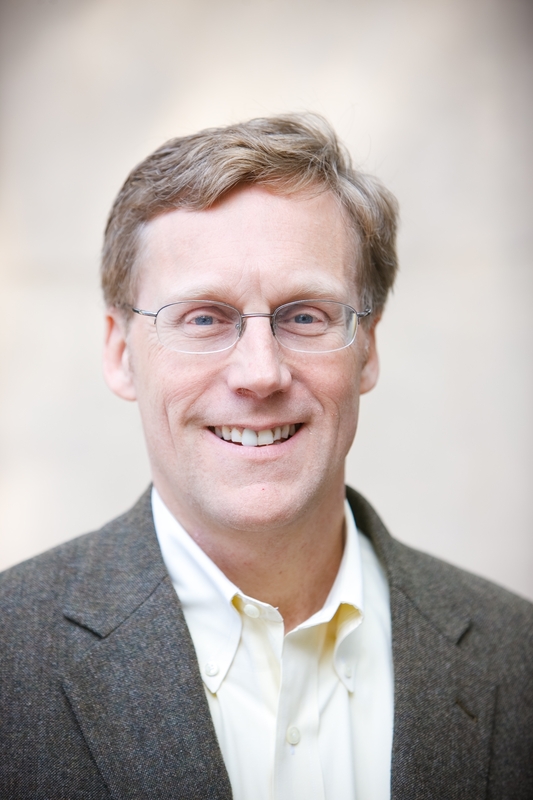 When Mark Davis started his career, he didn’t know that he would one day become a key player in America’s growing green economy. Davis was running a successful information company in Washington, D.C., when he started to think about the environment and the importance of clean energy. In 2009, he started a solar energy company, WDC Solar. Today, he is opening a solar panel manufacturing plant in the D.C. neighborhood of Anacostia, and creating high quality jobs for local residents, who face some of the highest rates of unemployment in the area. The plant will be the first African American-owned solar manufacturer in the U.S.
Davis says he got into solar power because he cared about the environment and felt it was simply the right thing to do. And the power of clean energy to help humans became very clear to him in 2010, after a devastating earthquake hit Haiti. His company, WDC Solar, worked with ARCH trainees to put together “solar suitcases” with portable electrical systems that could be used to power orphanages, hospitals, and other critical facilities in the wake of the disaster. WDC Solar, founded by NBA-player-turned-entrepreneur Mark Davis, is one of the nation’s first African American-owned solar panel installation companies. In addition to serving paying clients, WDC Solar installs solar panels in low-income communities at no cost to residents and trains young men and women—often those who are unemployed or under employed —in this type of skilled labor. WDC Solar also offers North American Board of Certified Energy Practitioners (NABCEP) certified entry-level training that enables graduates to pass the NABCEP PV Associate Exam. WDC Solar creates livable wage renewable energy jobs for local electricians, roofers, solar technicians and engineers. Through the employment of local people to sell and install solar panels, WDC Solar keeps dollars in local communities, saves families money on energy costs, improves the air quality, and makes solar energy affordable and available to all residents living in the Washington, D.C. metropolitan area. Adopt a rigorous and transparent methodology for identifying, assessing, and quantifying the full range of benefits and costs of distributed generation technologies. While it is not always possible to quantify or assess sources of benefits and costs comprehensively, PUCs must ensure that all cost-benefit studies explicitly decide how to account for each source of value and state which ones are included and which are not. Currently methodological differences in evaluating the full value of distributed generation technologies make comparisons challenging. States start from different sets of questions and assumptions and use different data. For instance, while there is consensus on the basic approach to energy value estimation (avoided energy and energy losses via the transmission and distribution system), differences arise in calculating other costs and benefits, especially unmonetized values such as financial risks, environmental benefits, and social values. In this regard, the Interstate Renewable Energy Council’s “A Regulator’s Guidebook: Calculating the Benefits and Costs of Distributed Solar Generation” and the National Renewable Energy Laboratory’s“Methods for Analyzing the Benefits and Costs of Distributed Photovoltaic Generation to the U.S. Electric Utility System” represent helpful resources for identifying norms in the selection of categories, definitions, and methodologies to measure various benefits and costs. Undertake and implement a rigorous, transparent, and precise“value of solar” analytic and rate-setting approach that would compensate rooftop solar customers based on the benefit that they provide to the grid. Seen as an alternative to ‘traditional’ net-metering rate design, a “value of solar” approach would credit solar owners for (1) avoiding the purchase of energy from other, polluting sources; (2) avoiding the need to build additional power plant capacity to meet peak energy needs; (3) providing energy for decades at a fixed prices; and (4) reducing wear and tear on the electric grid. While calculating the “value of solar” is very complex and highly location-dependent, ultimately PUCs may want to head toward an approach that accurately reflects all benefits and costs from all energy sources. Value of solar tariffs are being used in Austin, Texas (active use) and Minnesota (under development). Arizona, California, Colorado, Connecticut, Delaware, Maryland, Massachusetts, New Hampshire, New Jersey, New York, Ohio, Oregon, Pennsylvania, Utah, Vermont, and West Virginia are considered the most favorable states for net metering, as they are the only states to receive an “A” rating from Freeing the Grid in 2015.m on the home’s rooftop, it may generate more electricity than the home uses during daylight hours. No or low upfront capital costs:The developer handles the upfront costs of sizing, procuring and installing the solar PV system. Without any upfront investment, the host customer is able to adopt solar and begin saving money as soon as the system becomes operational. utilize available tax credits to reduce system costs. For example, municipal hosts and other public entities with no taxable income would not otherwise be able to take advantage of the Section 48 Investment Tax Credit. Solar PPAs provide a fixed, predictable cost of electricity for the duration of the agreement and are structured in one of two ways. Under the fixed escalator plan, the price the customer pays rises at a predetermined rate, typically between 2% – 5%. This is often lower than projected utility price increases. The fixed price plan, on the other hand, maintains a constant price throughout the term of the PPA saving the customer more as utility prices rise over time. Limited risk:The developer is responsible for system performance and operating risk. Better leverage of available tax credits:Developers are typically better positioned to Potential increase in property value: A solar PV system has been shown to increase residential property values. The long term nature of these agreements allows PPAs to be transferred with the property and thus provides customers a means to invest in their home at little or no cost. SRECs:Solar renewable energy credits (SRECs) show that a certain amount of electricity was produced using solar energy. They are typically bought and sold by load serving entities (typically regulated utilities) to meet obligations associated with state-level renewable energy standards. SRECs are also used by consumers who voluntarily purchase them for marketing claims or other use. Most often in PPAs , SRECs are owned by the developer. When entering into a PPA, it will be important for a customer to clearly understand who owns and can sell the SRECs generated from the PV system, the risks attendant to SREC ownership, and the tradeoffs with respect to PPA price. Site upgrades:While the developer is responsible for installation, operation and maintenance of a solar PV system, the host customer may need to make investments in their property in order to support the installation of the system, lower the cost of installation or to comply with local ordinances. This might include, for example, rooftop repairs or trimming trees that shade the PV system. Possible higher property taxes:While a PV system may help to raise the site’s property value, there is also a potential increase in property taxes when the property value is reassessed. Different states, however, have different policies in regards to these possible property tax increases. Will Tesla Model 3 Be 10x Safer Than The Average Car? The Model 3 will have all the sensors needed to provide true self-driving capability. It will feature a liquid cooled supercomputer manufactured by NVIDIA that is capable of processing 40 times more data than the the first Autopilot computer introduced in October, 2015. Model 3 owners will be able to select enhanced Autopilot or “full self driving capability.” Both are extra cost options but are expected to be popular with Model 3 customers. Elon Musk tweeted 2 months ago that he expects a 90% reduction in collisions in cars equipped with what the company calls its Hardware 2 package of cameras, forward looking radar, and ultrasonic sensors. The software to manage all those inputs is gradually being optimized to provide enhanced Autopilot operation. Once approved by regulators, it will be capable of true Level 5 autonomous driving. Lazard’s Levelized Cost of Storage Analysis, conducted with support from Enovation Partners, is an analytically rigorous study of the major energy storage technologies in the context of their various uses, from large-scale, power grid-oriented applications to small-scale, residential applications. The latest analysis (LCOS 2.0) shows cost declines in most battery storage technologies, but with wide variations depending on the type of application and battery technology. LCOS 2.0 builds on the inaugural study conducted in 2015 with a refined methodology and the addition of new analysis that illustrates and compares the economics of “real-world” energy storage applications. Due to the refined methodology for LCOS 2.0, we recommend against making broad cost comparisons to the LCOS 1.0. However, the direct comparisons that can be made show that storage costs are generally dropping. For example, the median cost of using lithium-ion technologies decreased versus last year by approximately 12%, 24% and 11% for peaker replacement, transmission investment deferral and residential use cases, respectively, partially attributable to declining capital costs, among other factors. 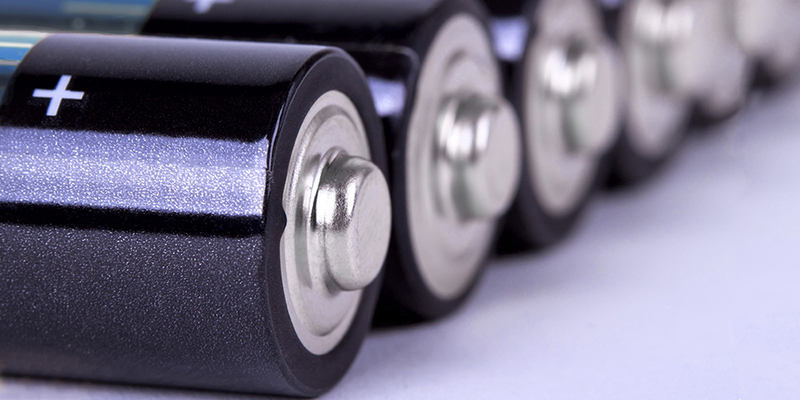 Industry participants continue to expect increased demand for energy storage to result in enhanced manufacturing scale and ensuing cost declines. If industry projections materialize over the next five years, cost-effective energy storage technologies will have increasingly broad applications across the power grid, such as providing an alternative to conventional gas-fired peaking plants in certain areas, as well as extending the usefulness over the course of the day of renewable generation, like wind and solar farms. Low Costs of Solar Power & Wind Power Crush Coal, Crush Nuclear, & Beat Natural Gas. We already published a great article from Nexus Media regarding Lazard’s new report showing the extremely low (and falling) costs of solar power and wind power. However, I’ve been wanting to highlight these awesome new findings since Larmion shared the updated report with us earlier this month, and I want to break out the amazing news in 5 specific ways. These are 5 messages that I think anyone wanting a better US economy (or a better economy in practically any country), anyone wanting national energy freedom (aka energy independence), anyone wanting to advance the most cost-effective choices for electricity generation, and anyone wanting to make logical energy decisions should know and share with others. The first point is the very basic fact that new wind power and/or solar power plants are typically cheaper than new coal, natural gas, or nuclear power plants — even without any governmental support for solar or wind. Not only are they typically cheaper — they’re much cheaper in many cases. The dramatically lower price of utility-scale solar power and wind power compared to fossil fuels and nuclear power should be evident to everyone today. Click to embiggen. Yes, these are levelized cost of energy (LCOE) estimates from Lazard based on various assumptions, and they are averages for the US as a whole rather than prices for specific locations within the US, but the lower estimated costs for these renewables are reflected in the real world as well, where solar & wind accounted for 69% of new capacity additions in 2015, 99% of new capacity additions in Q1 2016, a large portion of new capacity additions in Q2 2016, and probably ~⅔ of new capacity additions for 2016 as a whole. But these estimates in the charts above are actually unbalanced in favor of fossil fuels! Some of the assumptions are quite conservative, and some very real costs are left out. The estimates above are supposedly “unsubsidized,” but if you include social externalities as societal subsidies (I do), the estimated costs of fossil fuels and nuclear energy are hugelysubsidized in those charts. A study led by the former head of the Harvard Medical School found that coal cost the US $500 billion per year in extra health and environmental costs — approximately 9¢/kWh ($90/MWh) to 27¢/kWh ($270/MWh) more than the price we pay directly. To fool yourself into thinking these are not real costs is to assume that cancer, heart disease, asthma, and early death are not real. The air, water, and climate effects of natural gas are not pretty either. On the nuclear front, the decommissioning and insurance costs of nuclear power — unaccounted for above — would also put nuclear off the chart. On the renewable front, costs to overcome intermittency of renewable energy sources (basically, presuming a very high penetration of renewables on the grid) are also not included. Once that is a significant issue (at which point solar and wind will be even cheaper), low-cost demand response solutions, greater grid integration, and storage will be key solutions to integrating these lower-cost renewable sources to a high degree. Back to Lazard’s assumptions, note that the IGCC and coal cost estimates do not include the costs of transportation and storage. The low costs of solar power and wind power crush coal power, crush nuclear power, and beat natural gas by a sizable margin. Click to embiggen. Now, looking at these comparisons, one might wonder how any dirty energy power plants get built today. I would say it comes down to the lack of logical behavior and foresight in the market, but that’s a topic for another day. The scale is hard to read, but that light green is wind power, the purple heavily shown in the Southwest is utility-scale solar, the grey and purple speckled around the Southeast is utility-scale and residential solar, the light blue is nuclear, and the abundant red/orange is natural gas. No, wind and solar costs didn’t roll off a cliff because of Obama, but his staff did help to hasten the roll to some degree. Programs like SunShot have helped to bring down costs even faster than they were coming down anyway, as did greater deployment of renewables — with greater production and deployment, costs come down almost automatically. A few years ago, I wrote that the cost of solar was probably “2–100 times cheaper than you think” — the point was that the cost of solar had come down very fast and if people had a cost of solar in their head from a few years before (or, let’s hope not, decades before), their cost assumption was wildly too high. As the charts above show, the costs of utility-scale solar power and wind power fell 85% and 66%, respectively, in the past 7 years. If you are working on cost assumptions from before President Obama took office, your assumed cost of solar or wind is wildly too high. If you talk to someone who thinks solar power and/or wind power is expensive, perhaps this is the simple problem — point them in the direction of this piece. I won’t go into much detail right now, but I will update this article as more record-low prices for solar power and wind power are reported. For now, though, note that we’ve seen solar project bids for under 3¢/kWh in the UAE and well under 4¢/kWh in Mexico — prices that are well below the Lazard’s low-end estimates for the US. Note that several of the prices in the chart above were the record-low globally for the world (as far as publicly revealed prices go) when they were made — including the first few and the last two. In just a few years’ time, the low-price records have fallen at a dramatic clip. Whether American, British, Canadian, Australian, Indian, German, Dutch, French, Spanish, or [fill in the blank], solar and wind power don’t just mean lower prices — they also typically meanmore jobs. Much of the price of dirty energy power plants is in the fossil fuel — the physical resource. When we buy that fuel, much of the money goes to the billionaires and multimillionaires who “own” the fuel — the coal mines and the natural gas wells. Sunshine and wind, of course, are free, but distributed solar and wind power plants have to get built and installed — those are things humans do. When we pay for solar and wind power plants, we pay for human labor, and often help create or support local jobs. We don’t actually have to choose between low prices or jobs or protecting our air, water, and climate — we get all of those things with renewable energy options like solar and wind energy. With all of that said, as Nexus Media pointed out, new clean energy power plants compete against existing dirty energy power plants, and we need strong policies in place in order to push the dirtiest power plants off the grid and then replace them (and create jobs) with new clean energy power plants.